Friends and colleagues are kind enough to think of me when they come across some textile treasures. 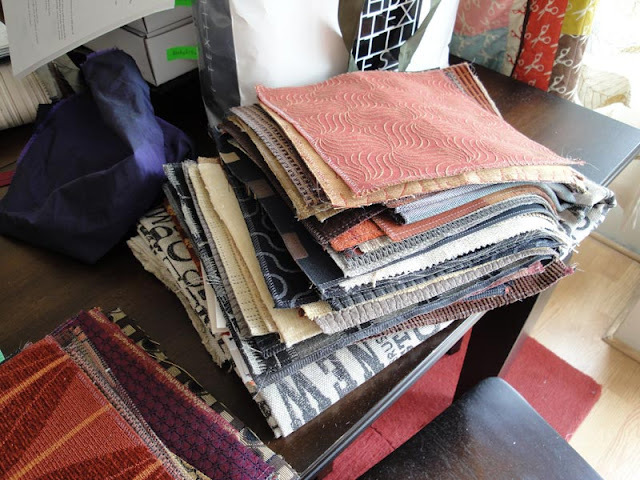 A while back, I received a bunch of beautiful upholstery swatches left over from a decorating project. 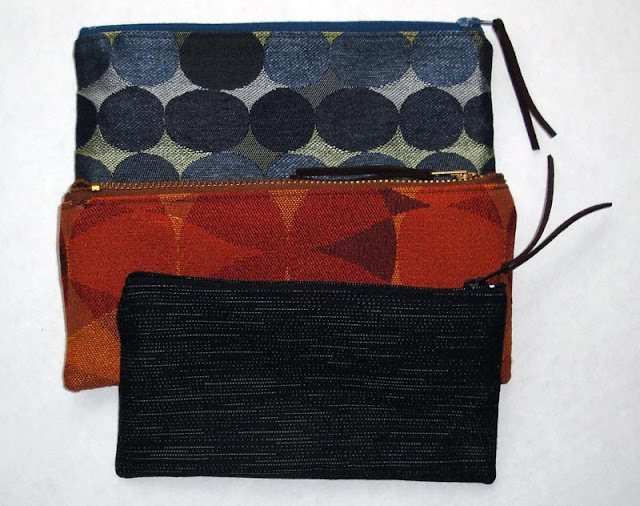 They're just the right size for making small zipper pouches. On average, they measure 8" by 4". I've been making a few at a time when the mood strikes. 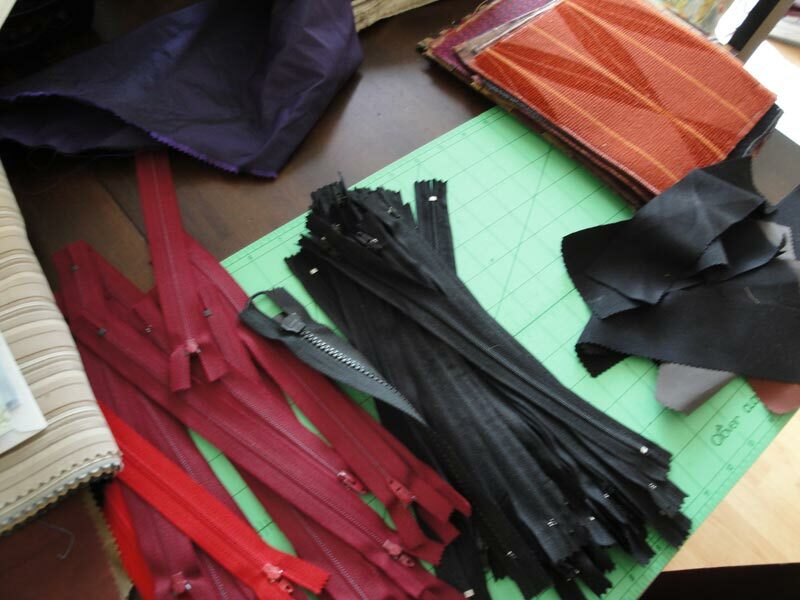 With some 30 cent headers from FiDM, I line the bags so that they are finished on the inside, too. These are going to be great Christmas gifts. Practical and stylish. Durable, too. Because the upholstery samples are for commercial use, they're flame retardant, water repellant, and hardy. In a pinch, they can double as coasters or hot pads. Love it! 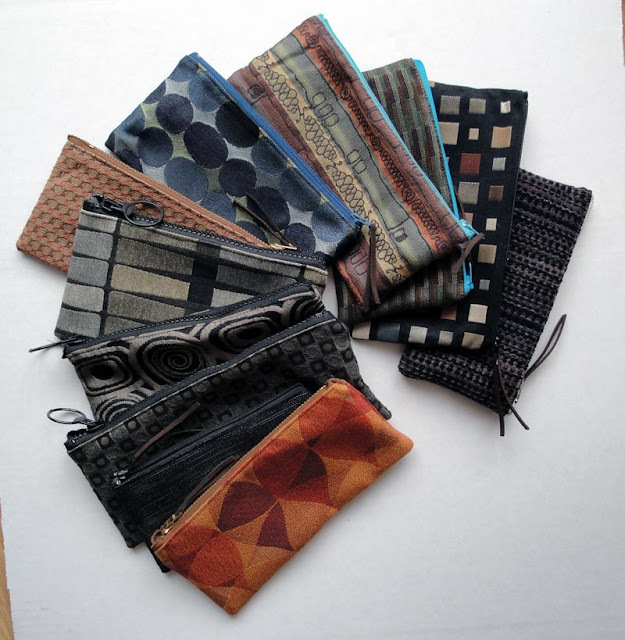 I gave my upholster memo samples to a stitchery artist for her pillow compositions. Sewers are so creative. I just love what they do! Can I use your picture of the stack of fabrics to talk about fabrics?